If growth produces "winners," then who and what are the "losers"? 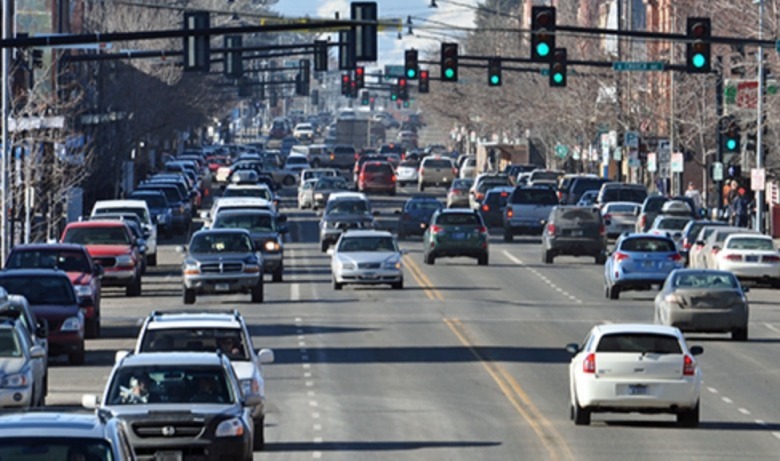 My town, Bozeman, is the fastest-growing in Montana and one of the fastest growing “rural cities” in the country. 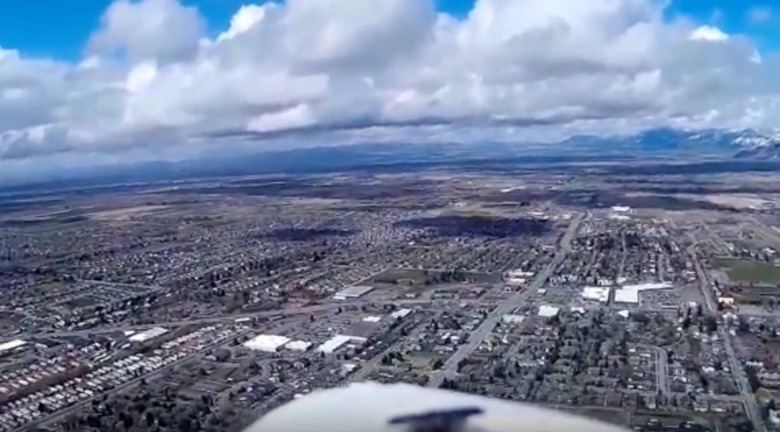 Since a huge percentage of people here are from somewhere else, most citizens are familiar with the perils of explosive, unplanned, unscrutinized growth without vision, and it’s a reason why many probably left that for the Gallatin Valley. I guess we will never know the number or percentage of folks who have come here to participate in the growth of this immediate area from the ground up, so to speak. As I read in the morning paper the current average price of a home here is $420,000 as of July 2018, apparently there isn’t much ground to get in on the floor of. If lack of sustainability was the reason for their departure from a former home, perhaps they (as well as we) should look at the sustainability (or lack of) they are contributing to in this community. Perhaps the new pilgrims of paradise are simply moving to a new “parking lot,” as the Joni Mitchell song has it. Although developers have long held sway with our city and county commissioners, their influence has become autocratic as the demands of a burgeoning population seem to demand less regulation. In fact, more regulation would result in less discontinuation of the values attracting what seems to be exponential growth. Unfortunately, “regulation” has become a pejorative along with taxes. Yet together protection-oriented rules and taxes are what keep our communities livable and pay for them to remain that way. With an office downtown overlooking Main Street for three decades, I make it a habit of talking with lots of people to get their read on what’s happening in our community. It isn’t the stuff of expensive focus groups or surveys. We’re tapped into the heart and soul and vibe of our community in ways that newcomers unfamiliar with the deeper essence of this place are not. To achieve that level of awareness, you need to have been here awhile. Many in Bozeman would agree that the city’s management of growth, at best, would receive a “C” grade in academic terms. That “C,” in the minds of many locals, could also easily stand for cancer as Ed Abbey aptly pointed out the paradigm of the cancer cell is "growth for the sake of growth" without reflection on its consequences. The shibboleth of the “value of growth” is often shown by the assumption that without it stagnation will occur. This assumption is, of course, proposed without definition of either the parameters of growth or the limitations of stagnation. Growth and stagnation or “entropy”—a word meaning “lack of order or predictability; gradual decline into disorder”—are generally expressed in terms of monetization and seldom, if ever, considered in social or human costs. It can be shown that monetized growth for the greater part most benefits the developer at cost socially or economically to those of a less favorable income. The more callous among us would simply say that having “winners” invariably produces “losers” and it’s a part of life, so get used to it. But that isn’t the attitude of the Bozeman we’ve long known and feel slipping away through our fingertips. So, let’s do something the city and county commissioners almost never do—have a humane discussion about the losers who are rapidly being displaced by the winners of the boom. "The more callous among us would simply say that having 'winners' produces 'losers' and it’s a part of life, so get used to it. But that isn’t the attitude of the Bozeman we’ve long known and feel slipping away through our fingertips." A truly democratic, civilized approach would require replacement or making housing provisions, as an expression of human dignity, for the displaced, concomitant with adequate corriders of public transportation for the working service folk to and from their places of residence and working opportunities. (Many of them likely to be way out in the valley hinters where they can still afford to own a home or rent an apartment). Every year, Bozeman citizens and soon those in the Gallatin Valley shell out more in taxes to pay for expanding services, school and infrastructure needs. Together, we’ve generously complied but there is growing angst and tax burnout happening because while we’re paying more, it’s obvious that we’re subsidizing those who are directly profiting off the boom. The lie that growth pays for itself is promoted by those who benefit from it—developers, bankers, realtors, building suppliers, construction workers and their ancillary support vendors. The less attractive underside of this is that the current tax base—coping with myriad different costs of growth we never asked for—is paying for real further costs. Paying forward (the ethos of contributing one’s fair share and then some to the benefit of the public good) is not part of the development scheme. In fact, today’s growth-created taxpayer debt becomes an incentive for approval of future development under the delusion that new development will somehow make up the deficiencies involving with paying for the wave of growth that just preceded it. This ever growing spiral of expanding public debt begets only more of the same. Increased need for more police, fire and other emergency services as well as infrastructure improvements, roads, waste disposal and new schools are among the most obvious burdens assumed by the taxpayer in the general acceptance of the fable of self-funded growth. It is an endless fiscally-defeating cycle based on the premise that cities can grow their way out of growth-related problems when what really was needed is fiscal discipline and the notion that if you want to play the game of boom, you need to pay your way and not foist your costs of doing business on someone else. In a region like the Greater Yellowstone Ecosystem, favored for its believed unlimited recreation opportunities, the impacts go far beyond the civic. In the near future if not the present, our outdoor opportunities may best be termed “wreckreation,” which is itself a topic for another column. Those who have the means to focus a good percentage of their waking hours on decisions involving how much they will play, where they’ll get their massage, gourmet lunch sandwich and glass of $20 Pinot Noir are not bothered by the thought of those working two or more jobs to keep food on the table for their kids. "Those who have the means to focus a good percentage of their waking hours on decisions involving how much they will play, where they’ll get their massage, gourmet lunch sandwich and glass of $20 Pinot Noir are not bothered by the thought of those working two or more jobs to keep food on the table for their kids." Gentrification is the generally accepted term for the replacement of low -income housing with more modern, upscale housing units for the new people for whom the development is supposed to fully-finance itself. Until it doesn’t. And these days in Bozeman, developers are not paying full freight for the costs they are imposing on others. Read my earlier column about trailer park residents being sent packing by an opportunistic California developer. There is much talk of “affordable low income housing” without much discussion of the cost of land now priced at a level that only “pencils out” as higher-end housing. Yet it displaces those in need of modestly-priced residences. The free market, however, is nowhere in sight. There is little planned housing for the displaced financially less fortunate. One virtuous project is "Housing First Village" to provide small homes for families and individuals in desperate need. Brought to creation by HRDC, it involves a collaboration with St. Jame's Episcopal Church and the College of Architecture at Montana State University. Still, when was the last time that true apartment affordability, despite the claims of recently-arrived developers, was ever delivered to lower income people who also want to have a connection to their downtown? Which raises the question: for whom does downtown exist? "When was the last time that true apartment affordability, despite the claims of recently-arrived developers, was ever delivered to lower income people who also want to have a connection to their downtown? Which raises the question: for whom does downtown exist?" It is easy to see that the premise of development paying for itself is flimflammery so why do our elected officials continue to allow it to happen? We’ve heard high-minded talk from elected officials about progressive Bozeman being concerned about climate change. It’s ironic. Among other obvious examples of unrealistic management of the rush to capitalize and promote unsustainable growth is the aversion of city/county managers to encourage/mandate solar orientation of new and remodeled buildings as well as a reasonable public transportation system to reduce traffic congestion. The idea of a prohibition of plastic shopping bags also is seldom mentioned let alone promoted by those in local government supposedly responsible for the continuity of quality of life in our environs. In fact, the idea of waste reduction is apparently anathema in a land seemingly perceived as nearly endless as the American West. These things are not radical. They are actually low-hanging fruit that towns with half the natural amenities Bozeman has have embraced. When the current rage of growth and development subsides, as it will, what kind of a community will remain? Proverbially enjoying today’s sunshine should not preclude planning for rainy days if we are going to again enjoy the sunshine and perhaps hasten its return. The downpour of escalating growth-related costs, however, is already upon us. Perhaps, and only perhaps, continued probing and questioning by the public might propel real conversation in elected bodies resulting in true forward thinking and planning if they believe their answers will affect voting decisions. 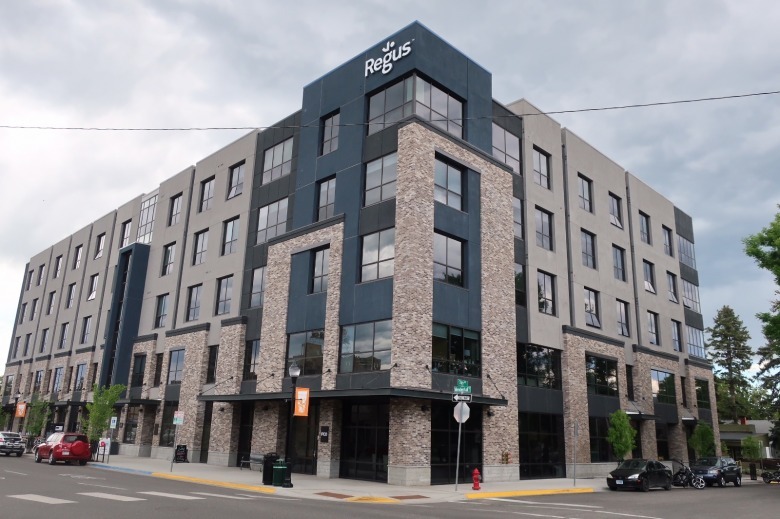 Crawford asks: "With hundreds if not thousands of higher-end apartments, motel rooms and high-rent office spaces being created, and negatively impacting the charm of the surrounding neighborhoods, will downtown Bozeman remain the centerpiece of the city's soul or become a symbol of the growing gulf between rich and poor?" Perceptive questions, coupled by a demand for answers, should make incumbents squirm and provoke thought and opportunity for aspiring new candidates. If the foregoing strikes a chord in the reader, remember we have an election in our near future and more to come. So get out and vote; it’s the only way to demonstrate public power over big money that isn’t always in the corner of the Bozeman we love. 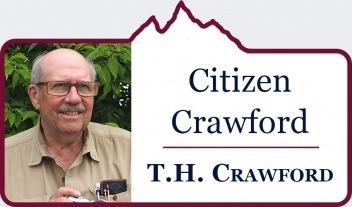 Tim Crawford once served as a city commissioner in the resort town of Ketchum, Idaho as it contended with growth. 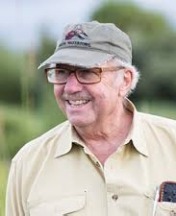 Today, he is a downtown Bozeman businessman, a Gallatin Valley farmer, professional photographer and lifelong conservationist who loves to hunt and fish.